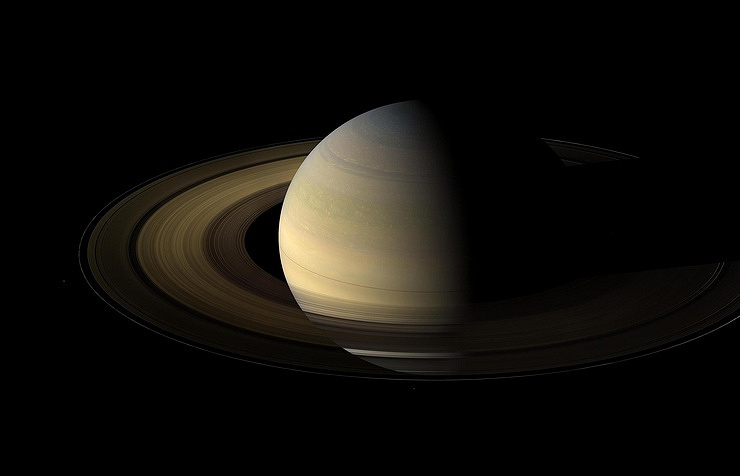 Scientists from Russia, UK, and the US have created a mathematical model to describe the processes of aggregation and fragmentation of clumps of matter in Saturn’s rings, the press office of Skoltech (Skolkovo Institute of Science and Technology) said. The new study shows that the process of aggregation and fragmentation of clusters of matter in the F-ring may last indefinitely long. The study’s results were published in the scientific journal Physical Review Letters. Saturn’s rings represent very broad and simultaneously thin conglomerates of ice and dust, which rotate at different distances from the planet. The rings’ material is greatly varied. It consists of “clusters” or “clots” of various sizes ranging from centimeters to dozens of meters in diameter. One of Saturn’s outermost rings called the F-ring is very unstable. Inside this ring, ice and dust form large clusters, which appear and disappear in several hours. “We found unceasing oscillations of particle aggregation and fragmentation in Saturn’s rings. In addition, we determined that these oscillations are strictly periodic and do not lead to stable equilibrium distribution which by itself is an interesting feature for a mathematical model satisfying the mass-conservation law,” said the study’s author and Skoltech research assistant Sergey Matveev. Researchers from Skoltech, Moscow State University, Institute of Numerical Mathematics RAS, the UK’s University of Leicester, and Boston University in the US teamed up to study the F-ring’s peculiarities. They hammered out a mathematical model and through it demonstrated how the processes of the clusters’ aggregation and fragmentation in the F-ring occur. The researchers took into account various factors affecting the process, for example, the gravitation of Saturn towards the rings, the velocity of the rotations of the rings relative to each other, the particle’s size, and other factors.